Sometimes you just want to party under the sea style! Mermaids can make that happen! 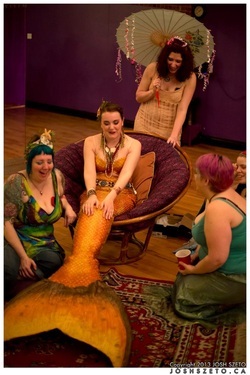 Whether it’s entertaining guests with mermaid tales, swimming in a pool with your guests, serving drinks, or posing for photos, your guests are sure to have a memorable experience! Travel fees may incur.